Singers.com - Songbooks and choral arrangements from the Musical: Something Rotten! Something Rotten! was expected to have a pre-Broadway tryout at the 5th Avenue Theatre, Seattle, in April 2015. However, when a Broadway theatre became available, Kevin McCollum decided to open the show without the Seattle tryout. "David Armstrong, artistic director of 5th Avenue Theater, said...that after the positive buzz surrounding the musical’s workshop in October, he and Mr. McCollum began discussing the possibility of the show bypassing Seattle in favor of Broadway." The developmental lab took place in New York City in October 2014 with Casey Nicholaw as director and choreographer. Wayne Kirkpatrick : Something Rotten! A dozen vocal selections presented for the hit musical which opened on Broadway in March 2015, presented in vocal line arrangements with piano accompaniment. Includes: Welcome to the Renaissance - God, I Hate Shakespeare - Right Hand Man - A Musical - The Black Death - I Love the Way - Will Power - Bottom's Gonna Be on Top - Hard to Be the Bard - We See the Light - Make an Omelette - To Thine Own Self (Reprise). This is the sensational opening number from the 2015 Broadway show Something Rotten! in which the cast celebrates the inventions, innovations and art of the new era. In this Tony-nominated number, while trying their best to compete with the wildly successful William Shakespeare, the Bottom brothers, Nick and Nigel, follow the advice of Nostradamus and create a play where an actor is saying his lines, and "out of nowhere, he just starts singing." A terrific showcase for concert and show choirs! 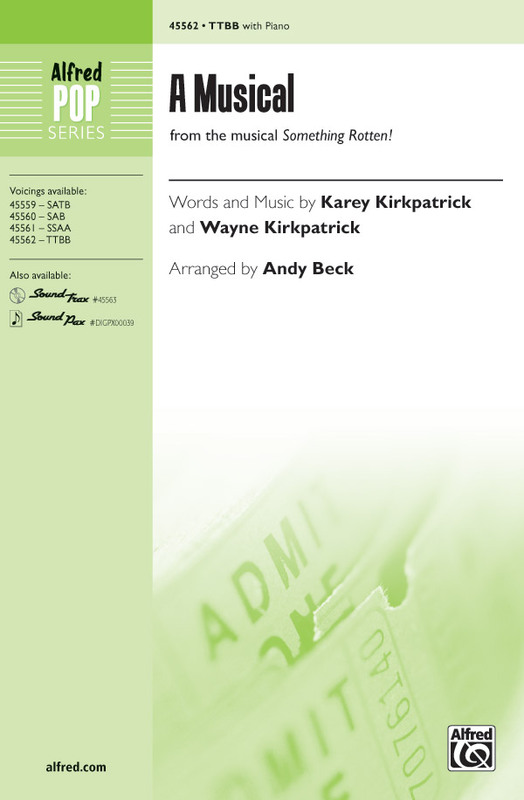 Arranger: Andy Beck | Composer: Wayne Kirkpatrick | Lyricist: Karey Kirkpatrick | Musical: Something Rotten! 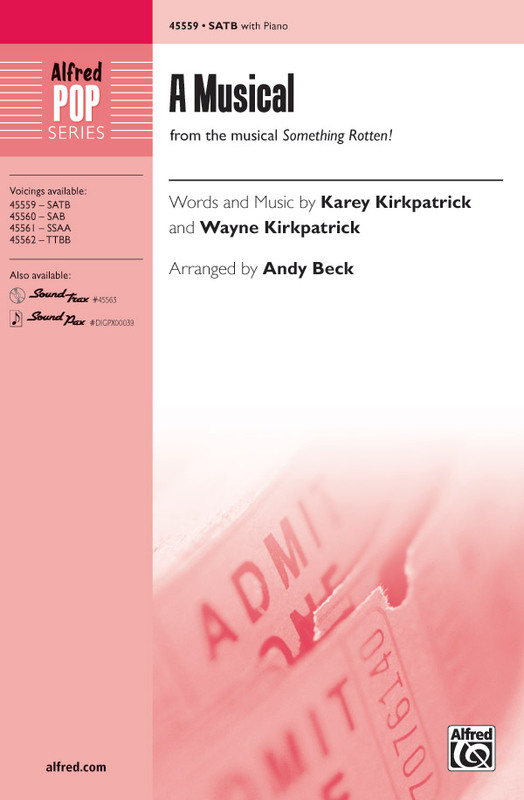 Arranger: Mac Huff | Composer: Wayne Kirkpatrick | Lyricist: Karey Kirkpatrick | Musical: Something Rotten!